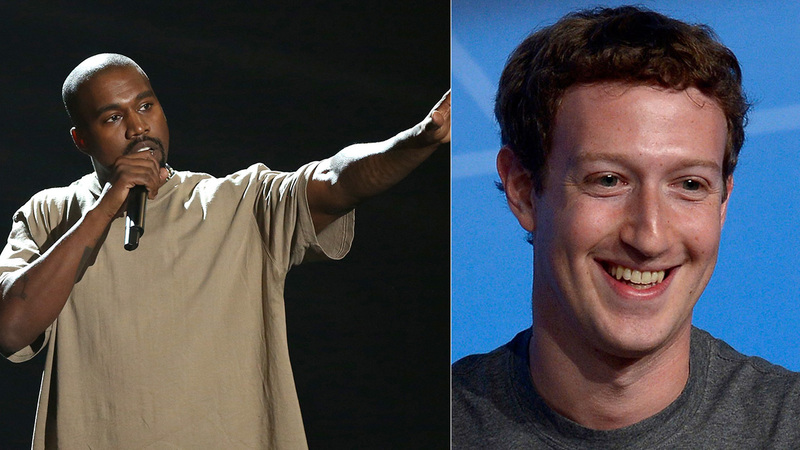 LOS ANGELES -- Kanye West says he's $53 million in personal debt and is calling on Facebook CEO Mark Zuckerberg to invest $1 billion in his ideas, declaring himself the "greatest living artist and greatest artist of all time." The controversial rapper tweeted about his financial woes Sunday night, saying "I write this to you my brothers while still 53 million dollars in personal debt... Please pray we overcome... This is my true heart..."
On Monday morning, West made direct pleas to Zuckerberg, one of the world's wealthiest men, and Larry Page, Google's billionaire co-founder and chief executive. "All you dudes in San Fran play rap music in your homes but never help the real artists...," West tweeted. It's not clear if the rapper's bizarre request is meant to be taken seriously, but West asked his Twitter followers to join him in asking Zuckerberg to support him. "World, please tweet, FaceTime, Facebook, instagram, whatever you gotta do to get Mark to support me...," he tweeted. West released his much anticipated new album, "The Life of Pablo," through Jay Z's Tidal streaming service on Saturday night after performing two songs on "Saturday Night Live."